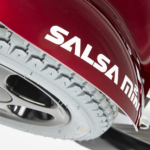 When designing the Salsa M2 Mini, style was not an afterthought. 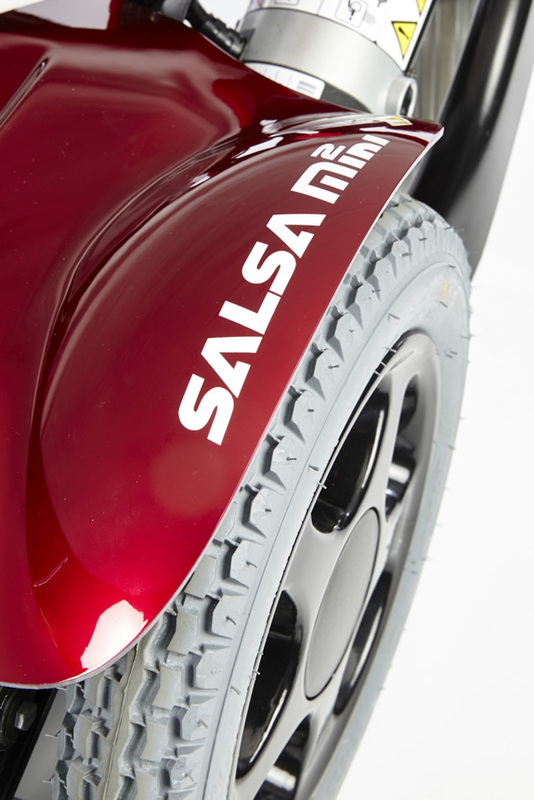 The Salsa M2 Mini blends Quickie’s hallmarks of beautiful sleek design with an assertive stance and sporting performance. 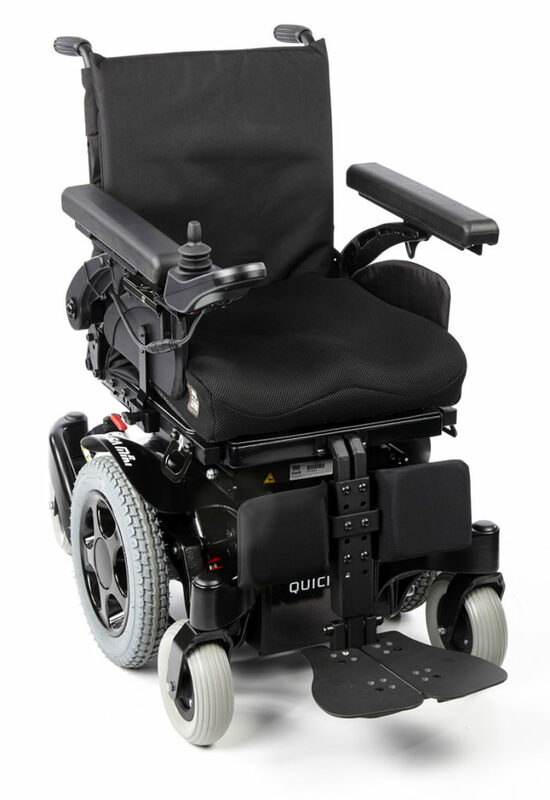 The sleek shroud is available in four different colours or have the exact colour you want through Built-4-Me. 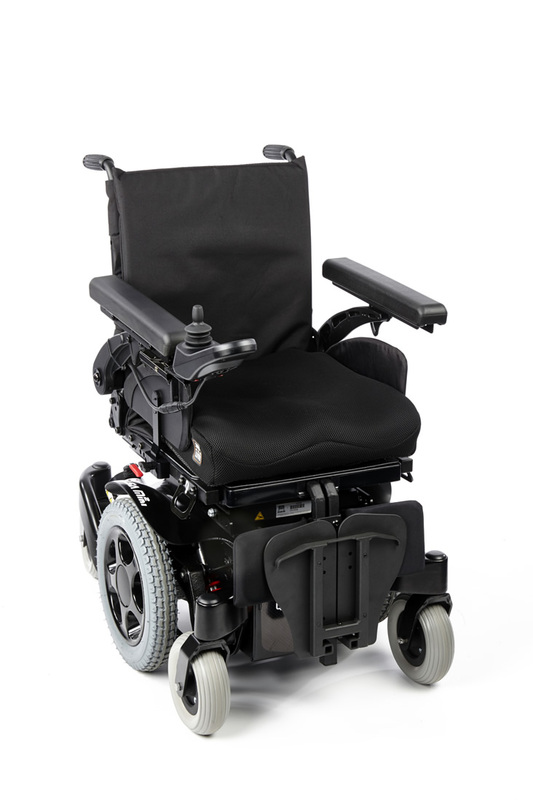 The castor arms have been designed with a modern look and the matt black finish is a great accompaniment for any shroud colour. 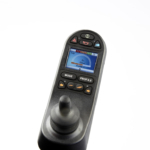 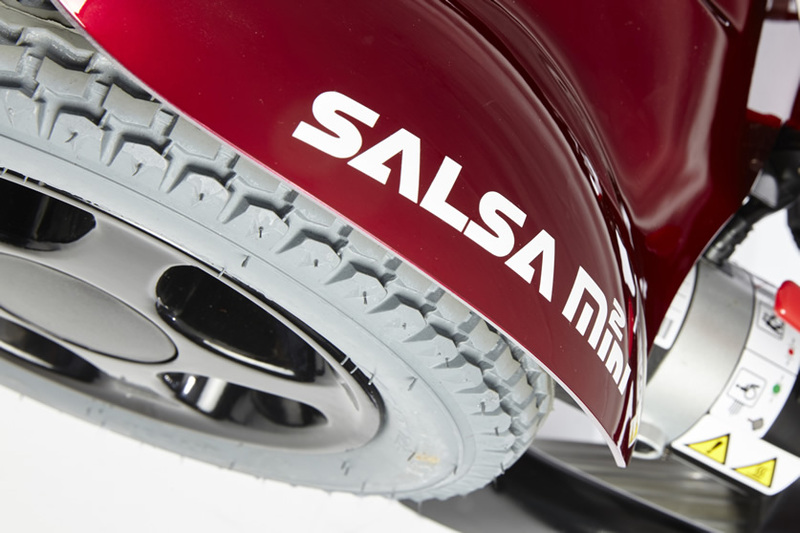 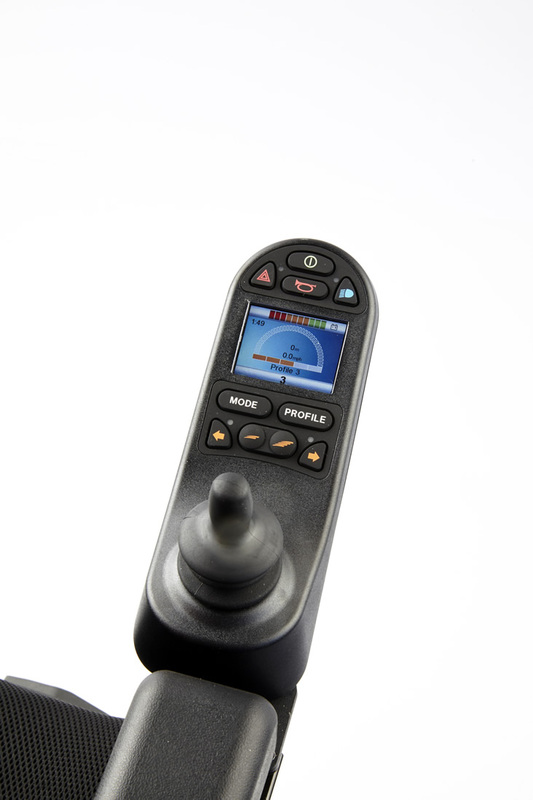 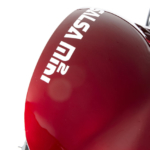 The Salsa M2 Mini is so stable that we offer our full range of powered options. 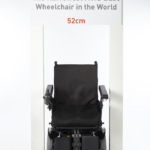 That means that you can still choose the options designed for your clinical needs. 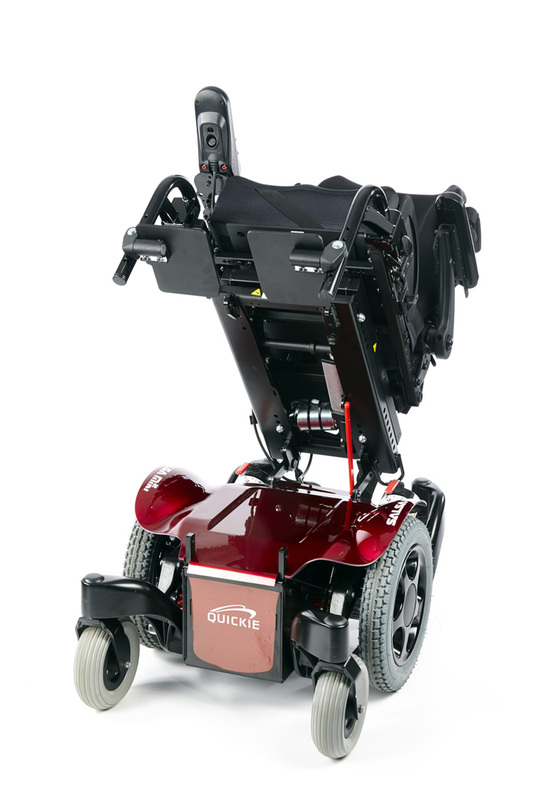 Powered Tilt – If you require pressure redistribution throughout the day then a tilt option can make this easy and comfortable to achieve. 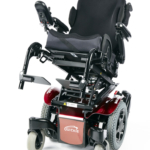 It can also be used when hoisting into the chair to guide the pelvis to the back of the seat with ease. 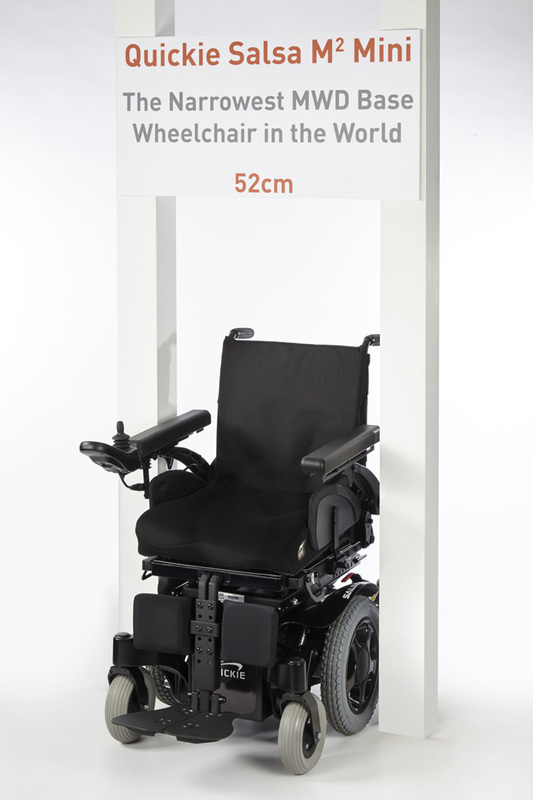 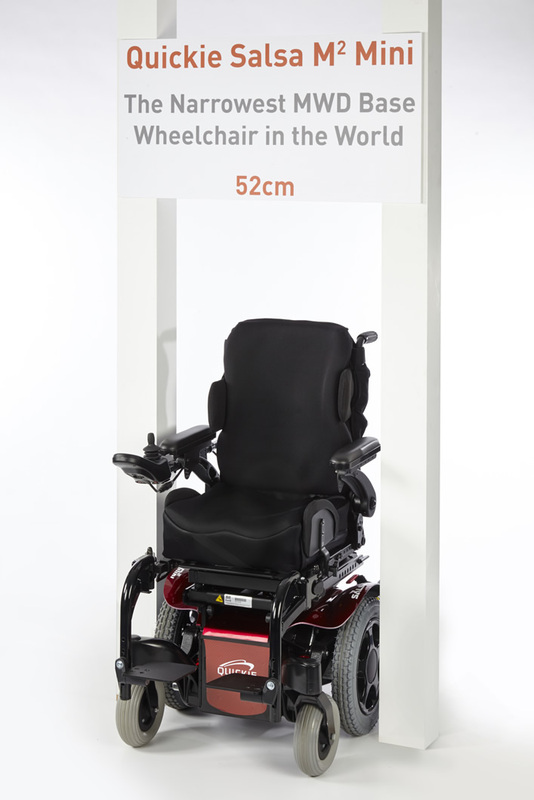 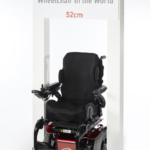 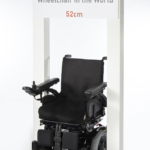 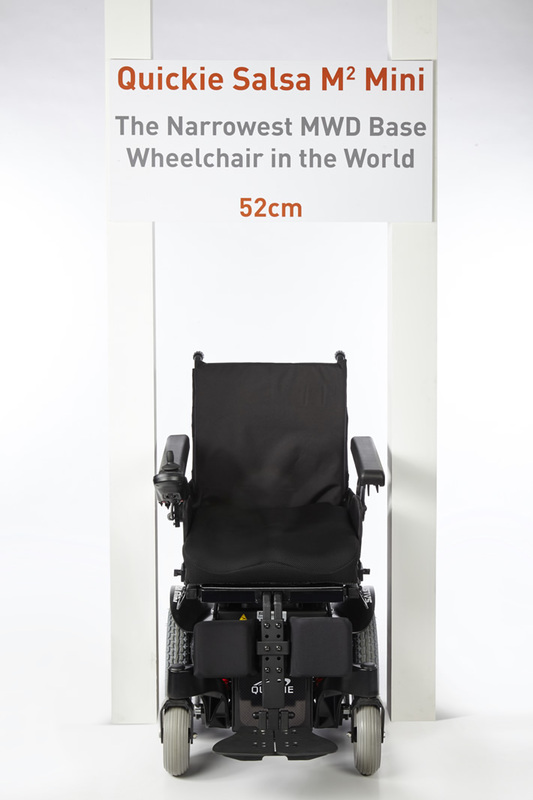 Powered Lift – Is great for raising you up to be at eye-level with your family, friends or colleagues but it can also be used to improve your reach around the house or ordering at the bar! 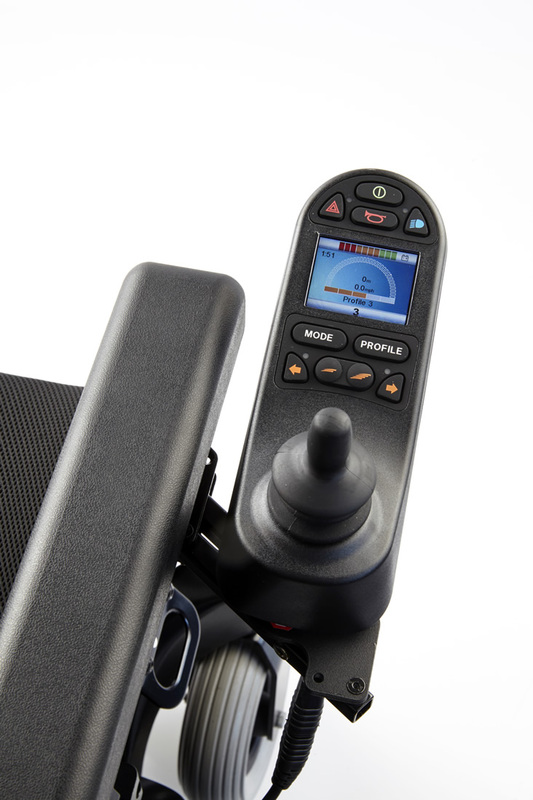 Powered Recline – Can often be used to achieve a relax position throughout the day. 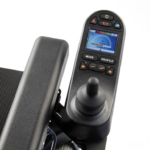 If you are spending a lot of time in your chair, then a little recline can allow you to change your position every now and again. 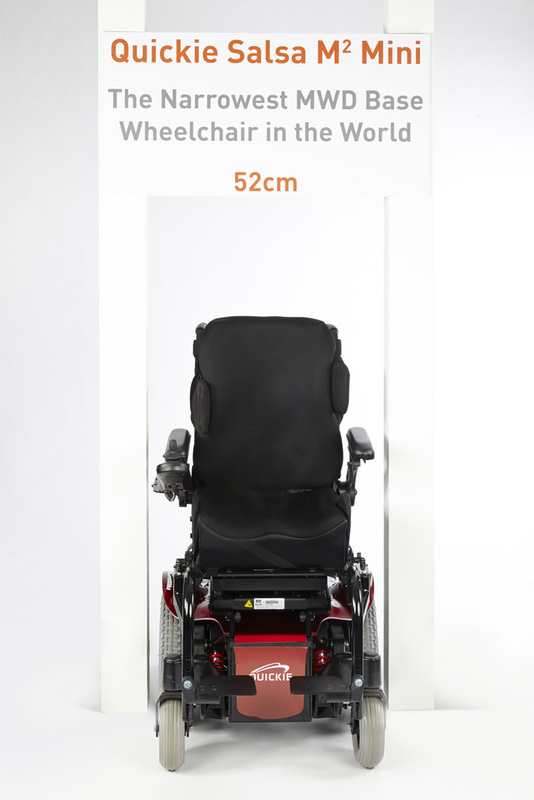 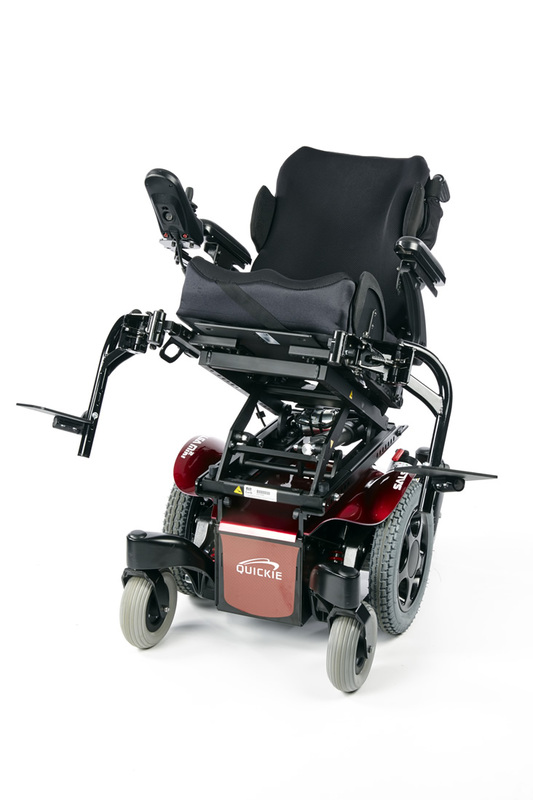 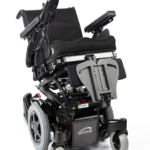 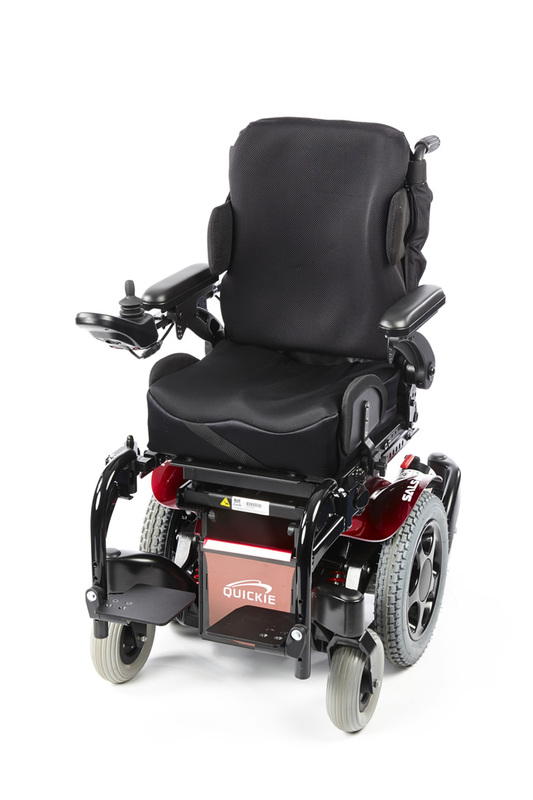 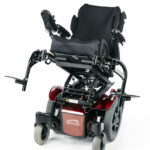 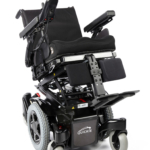 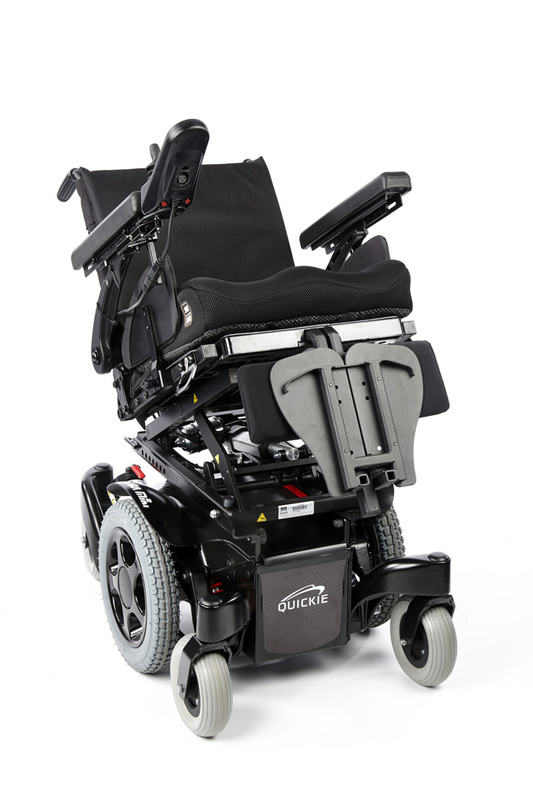 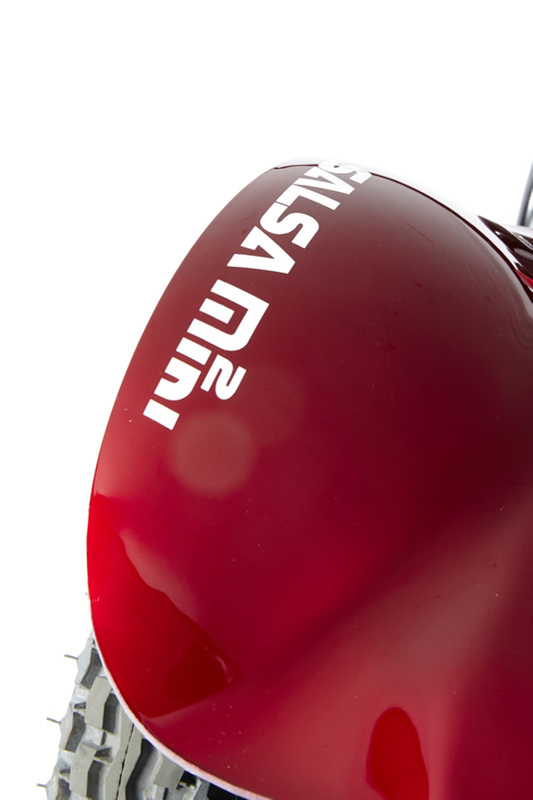 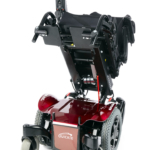 The Salsa M2 Mini is our most dynamic powered wheelchair to date. 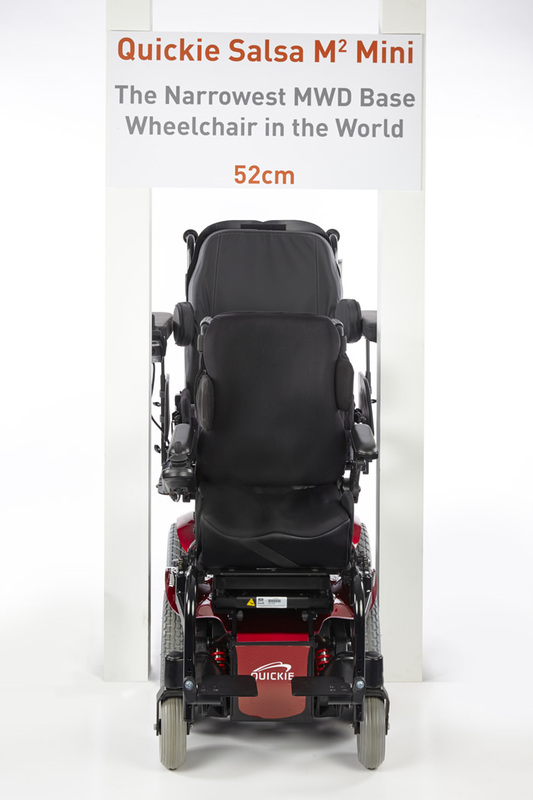 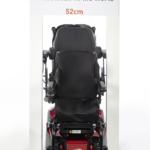 It is fantastic in the home and outdoors, so it made sense that we offer a range of seating options so that the true benefits of the Mini can be experienced by everyone regardless of size and age! 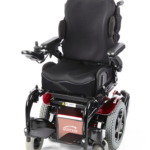 The Salsa Seat is our best selling seating system and is packed with adjustment. 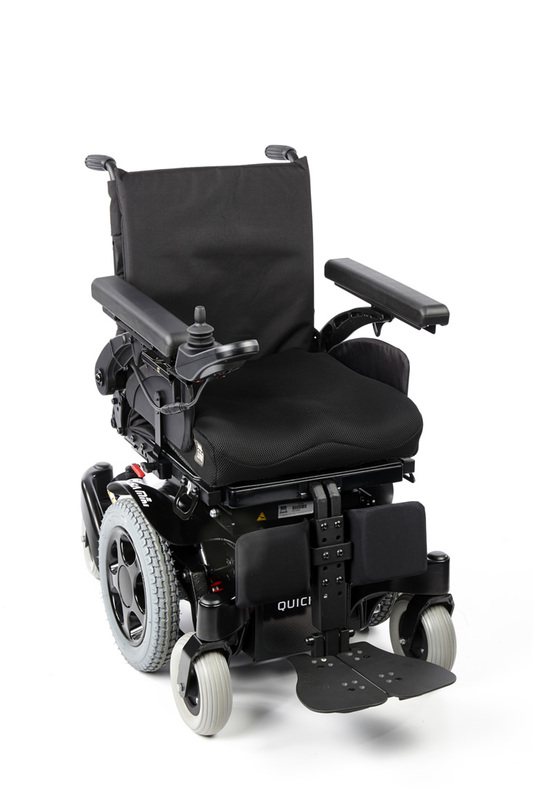 This seat caters for clients that are within 16” – 20” wide and 16” – 20” deep in the chair. 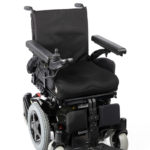 If you want to change or alter your backrest then these measurements will likely change, that’s why we have supplied amply adjustment so you are safe in the knowledge that your seat can cater for your needs now and in the future. 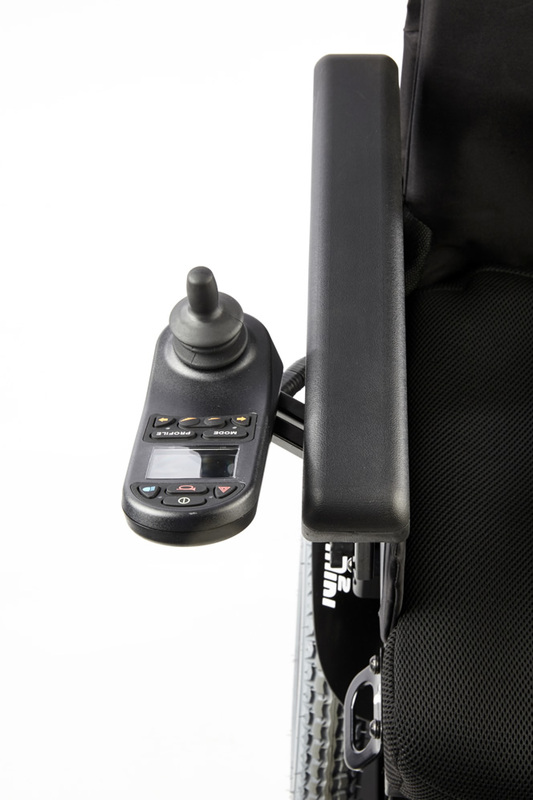 Our Kids seat offers the same range of adjustment as the adult but starts at 12” and goes to 16” both ways. 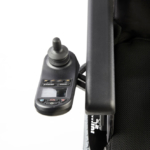 This means that even when your child grows, the seat will cater for it and last much longer. 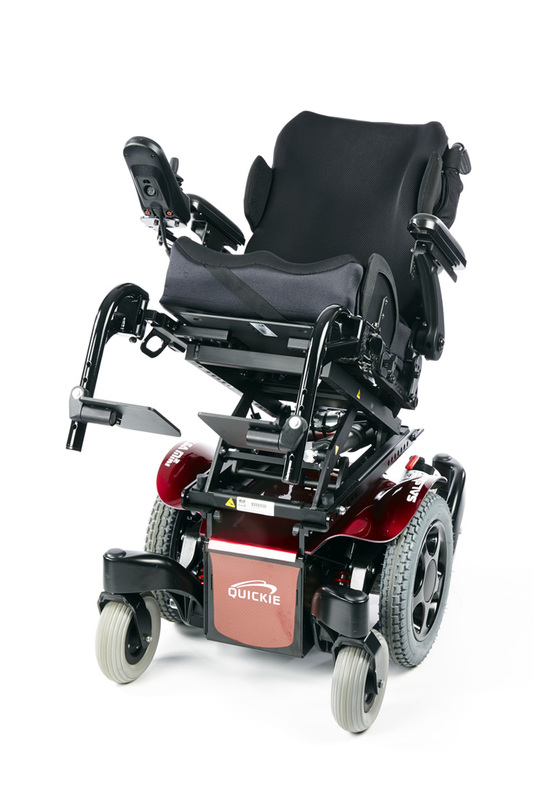 The Salsa Teens seat offers the width of the kids seat (12” – 16”) and the depth of the adult (16” – 20”). 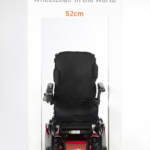 So even when dealing with longer slimmer sizes we can still offer the same level of support and adjustment. 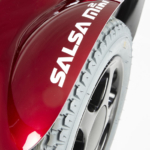 If you have any questions at all regarding the Salsa M2 Mini or would like to book an appointment to be assessed please do not hesitate to contact us on 0330 0581 008 (Local call rates apply) or FREE PHONE 0800 626 829 or complete the form on this page and we will get back to you.